I’m looking for a baby Gund lamb Little Tones. He has a squeaker. 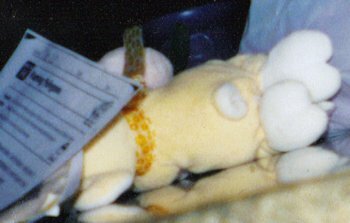 (#GD 58625) The lamb is cream colored with cream striped ears and about 11 inches long. I’m looking for a lost 12 inch long lying down lamb holding a purple flower. 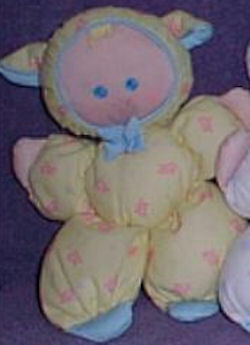 It is yellow with white feet and hands and a yellow ribbon around her neck. I’m looking for an 11 inch beanie No. 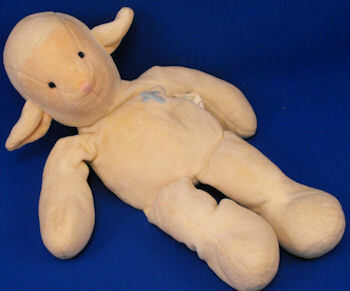 2790 RUSS cream blue cross lamb named LOVE, with tan velour face and ears. The BLUE CROSS is embroidered on the chest. 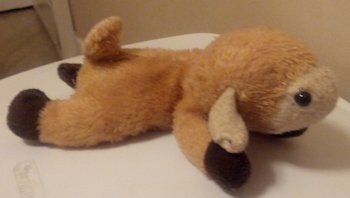 I’m looking for a 7 inch 2012 tan lying down lamb with plastic eyes, brown feet, cream face and ears, upturned tail, and a blue ribbon bow around his neck.